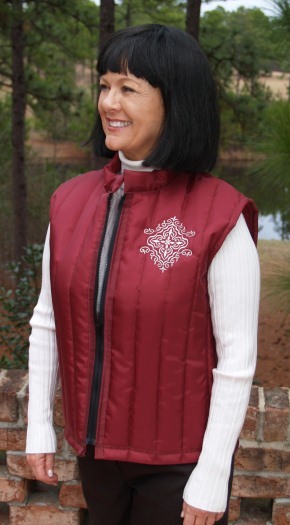 Channel quilting coupled with the rip stop nylon makes for a very warm winter vest. 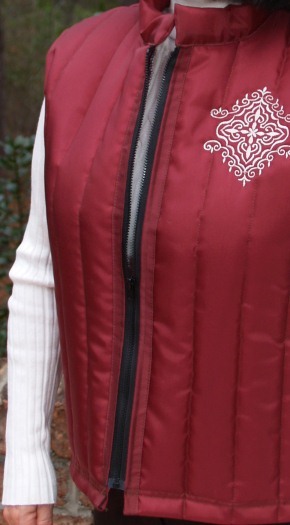 A black front zipper and the ability to wear it open creates the vertical interest so beneficial for the Apple. The monogram and wide shoulders helps the Pear balance out their shape. 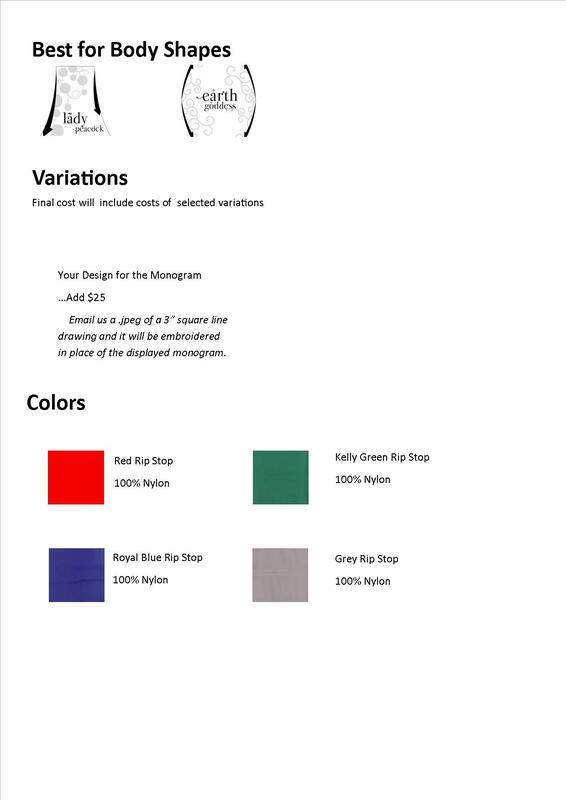 The item can be customized by you. 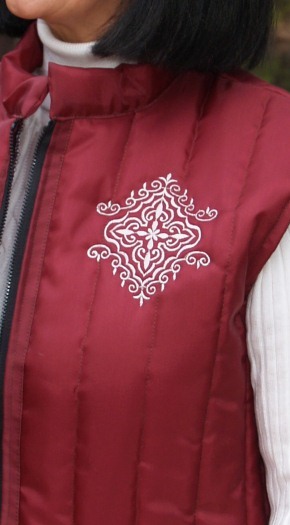 Place your own emblem, line drawing, or clip art in place of ours.